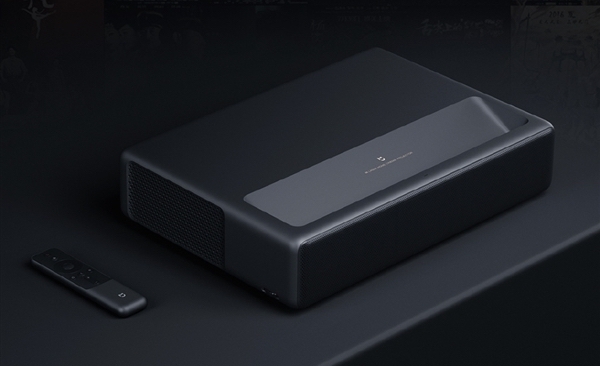 Xiaomi has released a number of powerful laser projector tvs at a reasonable price this month. 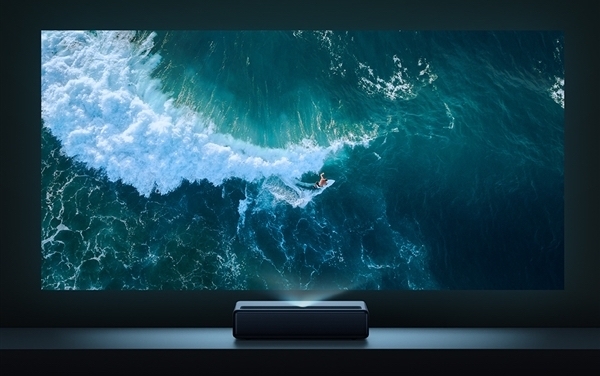 However, the company recently surprised everyone by unveiling the xiaomi super big 150 inch 4k mijia laser projector tv. 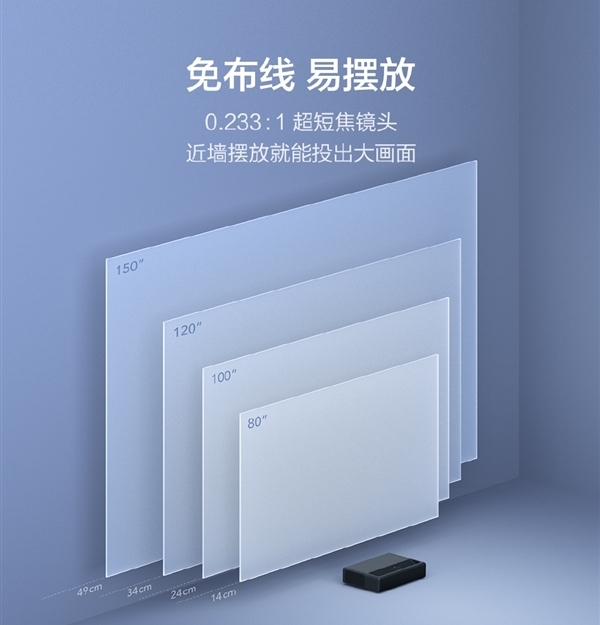 The xiaomi super large 150-inch 4K mijia laser projector tv supports a large 80-150-inch display. The real price is 14,999 yuan ($ 2,220), but the initial price is 9,999 yuan ($ 1,500) and is now in the forefront. In terms of design, it looks different from the previous version, which has a slim and rectangular shape. Its service time is 25,000+ hours. In other words, it can be used for about 17 years, for 4 hours a day. 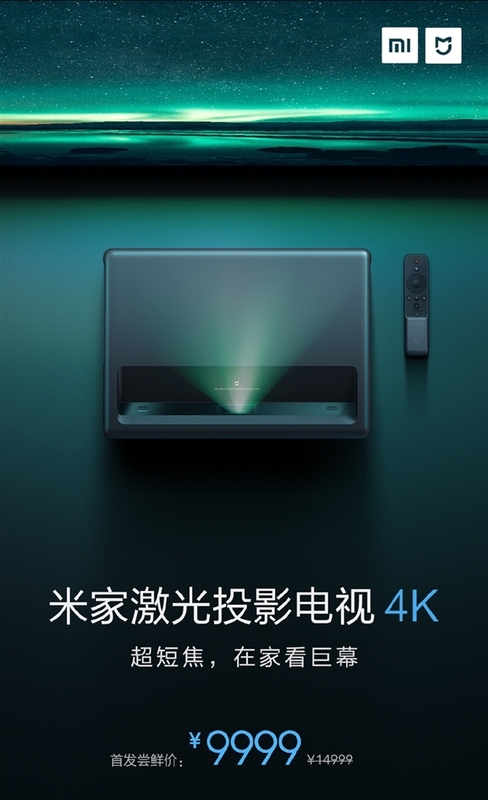 The xiaomi super powerful 150 inch 4K mijia laser projector tv uses short-range floodlight and uses a wide field depth of 0.13: 1. This device can display images up to 100 inches 24 cm away from the wall surface. It also supports HDR10 and a contrast ratio of 3000: 1. 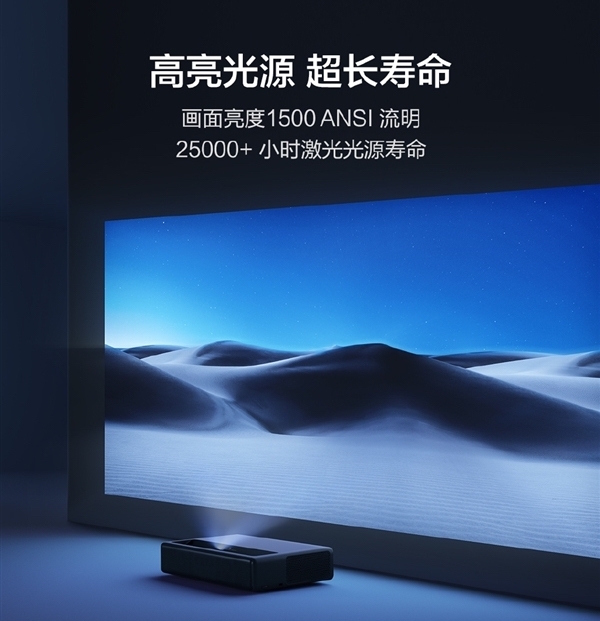 The 4K Mijia Laser Projector uses the new ALPD3.0 laser fluorescence technology, Guangfeng Optoelectronics, which complies with the international standards of Telecommunications Union Rec.709. In terms of audio, there's the dual stereo speakers with the Dolby Virtual Surround, which ensures a rich audio experience. Its operating system is the same as previous versions, although it runs the MIUI TV that comes with Xiaomi TVs.